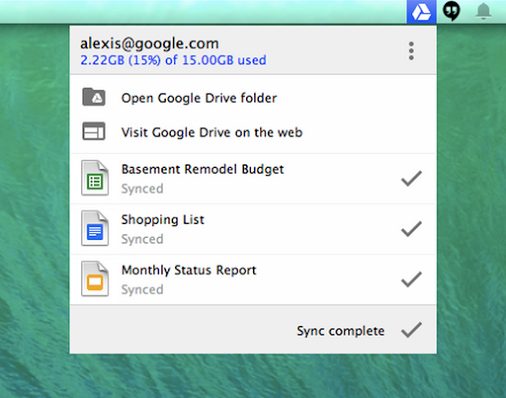 Google today updated its Drive app for Mac and PC to introduce a few handy new features. First off, you can now view the upload status of your files as they sync via a new menu button – neat if you want to make sure a file uploads before leaving your house. It will also show you recently synced files, and let you share them right from the menu. More useful for some will be the ability to limit Drive’s upload and download bandwith via the app’s preferences menu. That’ll help you have those Netflix videos streaming smoothly, or keep you from complaining about lag when playing Counter-Strike.